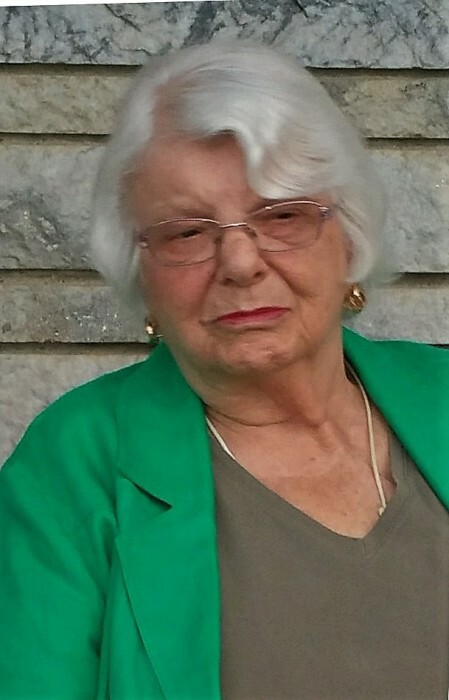 Obituary for Leonilda (DellaRocco) O'Brien | Thomas J. Shea Funeral Home, Inc.
On April 7, 2019 Our Mother, Nonna, Aunt and Friend Leonilda (Lee) DellaRocco O’Brien has moved on to Heaven. Although we will miss her always, heaven has become a brighter place. She was predeceased by her husband of 47 years Don. Also passing before her were her parents Guiseppe and Concetta DellaRocco; siblings Leonard DellaRocco, Matilda Ciotoli, Alfred DellaRocco, Theresa Perez, Thomas DellaRocco, Christine Capalaces and in-laws Josephine DellaRocco, John Ludka and Marion DellaRocco with whom she had a special friendship. She is survived by her loving children, Gerald O’Brien (Rita), Michael O’Brien (Kathleen), Camille O’Brien (Jim), Jacqueline Shay (Michael). She was also a wonderful Nonna, cheerleader and friend to her grandchildren Colette, Michael, Gerald, Daniel, Maeghan, Erin, Maura & Caitlin. Also survived by her siblings Marie Ludka, Joseph DellaRocco, Donna (John) Shiptenko, special godson Thomas DellaRocco and many nieces and nephews. Mom had a few passions, one of them was her love of the arts, she and her friends had season tickets for the Opera and Broadway Theatre League and never missed an opportunity to go to the City and see the latest shows on Broadway always making sure there was time for shopping. She also had a passion for politics both locally and nationally, she enjoyed a spirited election. She served for several years on the City’s Block Grant Committee and was always available to assist in local campaigns. The qualities we cherished most was her graciousness, kindness and ability to see things as they were with humor and wisdom. She demonstrated her true grace, strength of character and complete love in these final days. She often spoke of being grateful, it is us who will forever be grateful to have had her. Visitation will be held on Friday, April 12, 2019 from 4:30pm until 7:30pm at the THOMAS J. SHEA FUNERAL HOME, INC., 137 Robinson St., Binghamton. A Funeral Mass will be held at 9:30am on Saturday at St. Mary of the Assumption Church in Binghamton. Burial will follow in Calvary Cemetery. Arrangements are in the care of Albert J. DeMarco. Memorial donations can be made to Catholic Schools of Broome County, 70 Seminary Ave, Binghamton, NY 13905.